Advertising plays an important part in the success of any business. Are you doing enough? On average 10% of your customers will relocate each year – this means that you need to constantly attract new customers to replace them. Our Visitors Guide is distributed through tourist information points throughout the Valley and the Province. This is a full color booklet containing advertisements, write-ups on businesses and local attractions. If your market is tourist related – this is one of the top methods to reach out to them. We distribute 25,000 copies of our Visitors Guide each year. 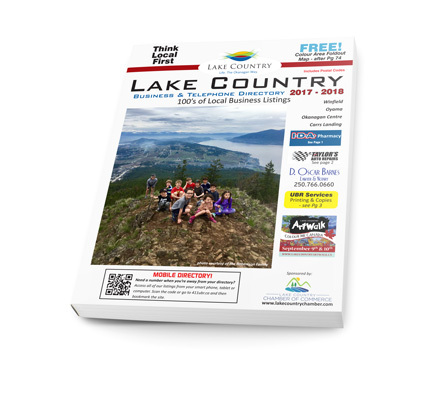 The Lake Country Chamber of Commerce offers its members great advertising opportunities on its own website. 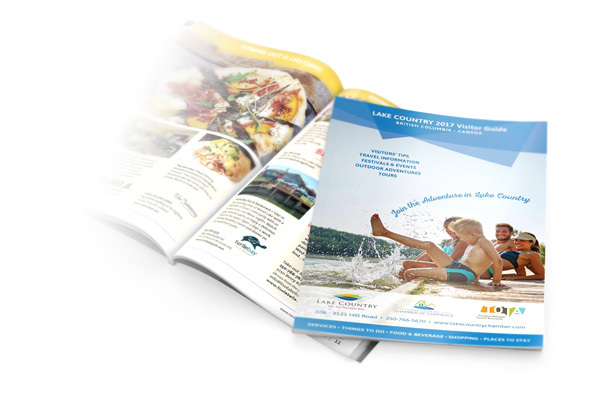 Members can have banner ads based on the IAB (Interactive Advertising Bureau) Standard and will be displayed on almost all pages on www.lakecountrychamber.com. Have your ads displayed on the homepage, directory, community, and more pages and share your business and products with all our visitors. 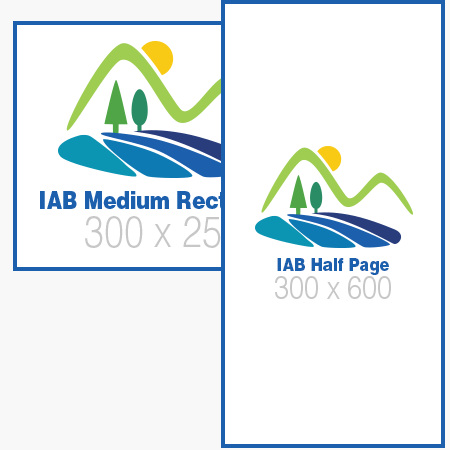 Lake Country Chamber of Commerce offers currently 2 types of advertising opportunities, one being the IAB Half Page Ad found on the home page, community page as well as the IAB Medium Rectangle which is found on almost every page in the side bar or content. To find out the cost and running time for Banner Advertisements please contact us. Our Local Telephone & Business Directory has been in existence in our community for many years. Studies show that 79% of people looking for a local business still use a telephone directory. Unlike other directories – you do not pay each month for your ad. Rates are very reasonable and all ads are in high quality full colour. Distribution has increased to 5500 this year. In recent years we have added on-line and mobile access to the listings. 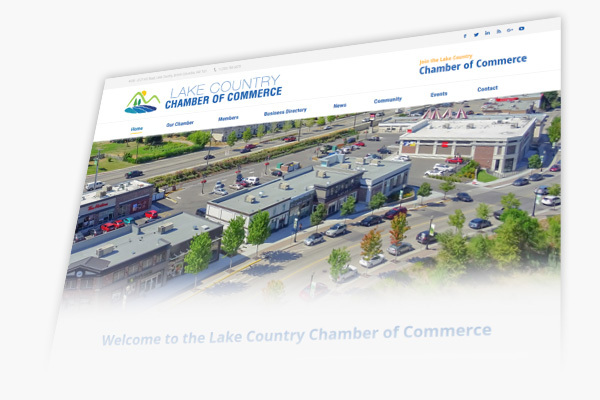 The Lake Country Chamber of Commerce Member Showcase is featured on our website, providing additional exposure for your business with a full article/abstract about you and your business. The Showcase will feature your business on our home page and will remain on our Members Showcase Page with other members utilizing this service indefinitely. For the Member Showcase service we require a business abstract/history, description of your business and the services you provide (min. 250 Words). Photos; we require up to 3 photos (min. 1 Photo) with a minimum resolution of 1280px by 1024px (higher preferred). Recommended are pictures of yourself, staff, and of your business/shop. Company logos in vector (eps, pdf, ai, png, jpg) are good as well however should not be used instead of actual photos of your business and staff.